Backyard kitchens are a great addition to any home. This Humble backyard kitchen was custom built for the homeowners of this property, and they love it! Family gatherings and events are now much more efficent and fun for this family! They use their backyard kitchen to cook food for their guests and use the beautiful granite bar to serve snacks and drinks. Yes… A Humble Backyard Kitchen! Here at Houston Outdoor Kitchen Pros, we put quality thought into our kitchens before we build them. All of the materials we use are always of only the highest quality to ensure a great backyard kitchen. After the homeowner gives us their idea for their dream backyard kitchen, we plan out every small detail about the kitchen before we construct it. We strive for perfection! 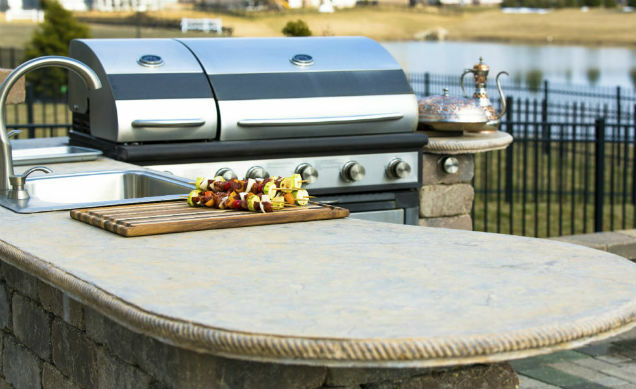 We guarantee you will love your backyard kitchen! Contact us today at (832) 409-3542 to start building your dream backyard kitchen.